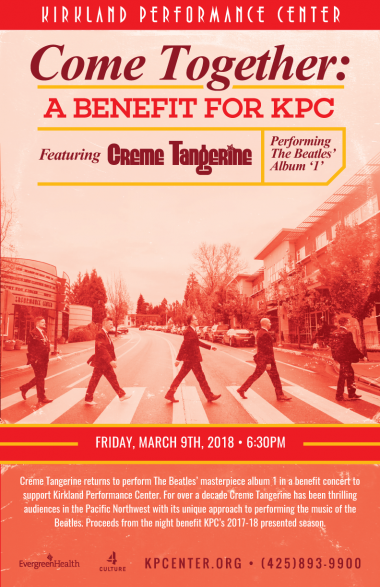 Creme Tangerine returns to perform The Beatles’ masterpiece album 1 in a benefit concert to support Kirkland Performance Center. For over a decade Creme Tangerine has been thrilling audiences in the Pacific Northwest with its unique approach to performing the music of the Beatles. Proceeds from the night benefit KPC’s 2017-18 presented season. 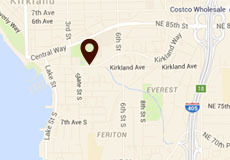 Tickets include an open champagne bar and desserts in the lobby pre party, and seats for the performance. The $83 ticket includes a $32 tax deductible donation to KPC and the VIP $135 ticket includes a $58 tax deductible donation to KPC.